Just because there is plenty of other limp jargon out there….. I did think about stopping talking about jargon during Holy Week but then I thought if jargon is merely words that people use unwittingly to express a whole lexicon of meaning in a single word/words, lets apply it to today. 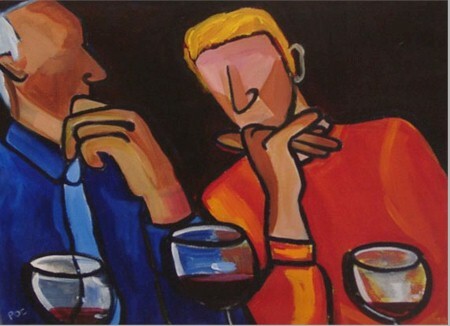 Ok, how about ‘After Jesus had shared the bread and wine, he said ‘I commend this practice to you’. ‘Let me commend to you’. I mean, no one actually uses this word in normal speech do they? I can understand someone saying ‘This practice speaks to me; have a go in your own life’ or ‘There is some important stuff in this report; read it’ or even ‘Try this out.’ All of those phrases have a bit of force to them (ok I use ‘stuff’ as jargon. But that word is endearing; just like me) and have a bit of ‘go’ to them. I might not like what you are asking me to do, but at least your use of words engenders a reaction. But ‘commend’? The word is bland; if it were a colour it would be beige- if it were coffee it would be Mellow Bird’s (coffee for people who don’t like the taste of coffee… ok my tongue is firmly in my cheek), if it were music it would be ‘Micheal Bolton’s Greatest Hits on the panpipes’. Pleasant, inoffensive lexical wallpaper, but ultimately meaning or signifying nothing. Whenever I hear it, I blanche (usually as a good introvert, inwardly) and whenever I read it it says to me ‘I honestly have no feelings of any depth about this practice/report/ book/instruction but thought I better use some verb; feel free to ignore it at your leisure’. I could say that I think of the user ‘and when did you last speak to someone outside the church bubble and have to gain a hearing?’; but as a good ordained person I do not think such base and uncharitable thoughts. If you are in the habit of using this verb as you can’t think of another one to use- well then I commend this blog posting to you. I have long got past the stage of getting worked up about doctrine etc: not that I don’t think it is unimportant- it is just that I get tired of flame wars and that notorious oxymoron: ‘Fighting for Christian truth’. Some people call this ‘pastoral work’; I do occasionally- although I have a jaundiced take on this: when I had my sabbatical 4 years ago I threw away all my books on ‘pastoral theology’. I did it to make space for my Wisden Cricketers’ Almanacs. It is not that I am of the school of ‘pull yourself together and praise God’ school (although I have met some like that), it is just that the books I had seemed so useless, limp and embarrased about God. What they covered could have been just as easily covered in ‘counselling’ or ‘psychology’; in fact they could well have been better books if they were more honest about that. I have tried; not always succesfully, to steer clear of the phrase ‘pastoral reasons’ as I have heard it used so often as a catch all for bad or inconsistent practice or just plain not being honest. Currently, a case is wending it’s way through the courts about a Methodist minister who is seeking to pursue a case for ‘constructive dismissal’. At present this is not possible: we are not employees and therefore have no employment rights. We have a set of conditions, which are not legally enforceable but generally help to provide a higher standard of care than in the market place. The problem is when things go wrong, pastorally trained people in leadership struggle to chart a consistent path to resolution and arbitration. The phrase ‘pastoral reasons’ is often used. As with all jargon- think before you use it and try and be honest. 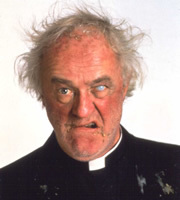 I well remember the famous ‘Father Ted’ and the episode where they tried to train Father Jack to not foul up. Anything that was contentious or controversial, they trained him to say ‘That would be an ecumenical matter’. I really, really hope that when I use the phrase ‘pastoral reasons’ it is not as a smokescreen to hide bad practice or mistakes by myself but it is for the sole reason that I have tried to put people first….. Growing up, I had been used to that phrase describing what a child did- ‘O, that’s a good piece of work: lets stick it on the wall’. In other words: something small, a physical product, not something that was a lengthy process with a report at the end or even (King with no clothes again), something that took a long time and didn’t really turn out like we expected. Just as in the 80s/90s a ‘workshop’ shifted from being a place where arduous manual work was undertaken to any gathering of people doing training (think: ‘an awareness worshop’ or a ‘consciousness raising workshop), so in the 2010s has ‘piece of work’ become. So I don’t want to hear anymore that it was a ‘good piece of work’ or ‘that piece of work has been completed’: explain to me exactly what has been done- don’t use shorthand to the extent that it becomes meaningless. Someone who — although often interesting — is difficult to get along with on an every day basis. They often make simple things overly complex, or argue points ad infinitum. Sure, I’ll drive by. Do you want me to stop and pick you up when I’m driving by? Of course I do. You’re a real piece of work, aren’t you? ‘That was a good time’, ‘You know, I really enjoyed that’ or even ‘Many people spoke of how that time meant so much to them’ are ways that people might express how much a particular event spoke or connected to them (bear with me; I am not by nature a creative writer). What I have noted recently is the overuse of the word ‘enriching’ within official circles to describe an experience. It almost seems to be unconscious or reflex; articles I may have read seriously I now stop reading as soon as that word appears. Please don’t tell me that something was ‘an enriching experience’ or ‘rich with meaning’; tell me what that really meant to you. Few of us out in RealWorld ™ use that combination of words to describe something that set us on fire inside or made us sing. Sometimes I suspect the word is used dishonestly: ‘an enriching experience’ is used as a shorthand for something that has been difficult or where there was disagreement. That cannot be admitted publicly, so those words are used as a ‘gloss’. When the king has no clothes- say it, don’t cover it. Please; stop using it or use it occasionally if you must- think about your words. You may end up connecting with more people if you do. Happy St David’s Day; for someone who used to live in Wales and whose children were born there, this is an occasion rich with meaning (translation: I am English, I am settled here, but part of me looks with longing to Wales and the circumstances of leaving still occasionally cause pain....). A while back, I was in a meeting talking about a report and someone said ‘Let Graham read it; he is good at spotting jargon’. I am not sure how genuine that was, or whether it was just banter. But, in a week of a review and with some space it has got me thinking about jargon. We need shorthand sometimes to communicate complex concepts quickly. Sometimes this shorthand unconsciously slips into jargon; the language becomes too self-referential. I can remember the 80s and early 90s talking about playing ‘Management jargon bingo’. The idea was that you had a grid with a set number of phrases on. You won if a speaker used them all: ‘management by walking around’, ‘singing from the same hymn sheet’, ‘run it up the flagpole and see who salutes’, ‘over egging the pudding’, ‘blue sky thinking’ anyone? You should have scored double if the speaker did this without irony. Some words are overrused in official Methodist jargon right now. I am thinking of doing a series of weekly posts on some of these words (on Thursday…. for no other reason that the French word is Jeudi and Jeudi alliterates with jargon….). 1: Conversation. This word has stopped being ‘conversation’ and has almost become ‘Conversation’. 2: ‘Enriching’ or ‘rich’. As in ‘an enriching experience’ or ‘rich with meaning’. 3: ‘Piece of work’. As in ‘They produced a good piece of work’. 5: ‘Sound’ or ‘robust’. Often used as a qualifying adjective to number 4. Some of you may read this and think ‘What is he on about’ (you may think that a lot anyway), others of you may have other pieces of jargon that I have missed in my enriching collaborative journey….. Please leave them in the comments….